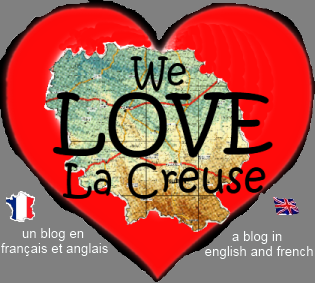 23500 raisons pourquoi we love La Creuse: Registered at last! Well we have been a bit busy recently: i appologise for not blogging regularly! The biggest news is that at last we managed to register the business and are able to provide meals and drinks! The veterinary service (who are not just for animals, you know) confirmed that we do not have to have a stainless steel kitchen to run a table d'hotes (stick that in your pipe and smoke it - outside in the properly ventilated and cordoned off smoking area, of course - lady from chambres de commerce, and all the other people who planted seeds of misery in our brains) and they were extremely helpful also. The customs people were also very helpful. What shocked us was that registering the business at the chambre de commerce was quite a jolly affair (once we had all the correct paperwork to hand). We are now officially up and running!